Say adiós to 2017 in our favorite Mediterranean metropolis! New Year’s Eve, or nochevieja in Spanish, falls smack dab in the middle of a nearly nonstop stretch of Spanish festivities that lasts from Christmas Eve until Three Kings’ Day on January 6. As the third-largest city in Spain, there’s tons to do on New Year’s Eve in Valencia. Take advantage of the not-too-chilly temperatures and ring in the new year valenciano style! 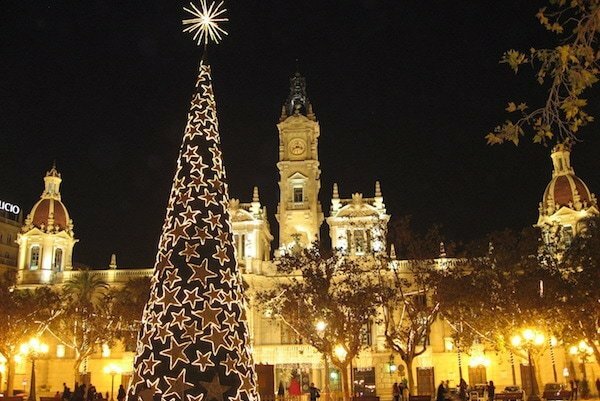 On the night of December 31, valencianos and visitors alike will pack into the Plaza del Ayuntamiento right outside the city hall for the city’s official New Year’s countdown. The picturesque plaza becomes party central, complete with DJ performances and fireworks. This is the place to be for celebrating New Year’s Eve in Valencia, so show up early to snag your spot! No, the local aren’t suddenly acting on their New Year’s resolutions to eat healthier right at the stroke of midnight. Those 12 grapes (las uvas) you see everyone cramming into their mouths are a fun (and slightly challenging) Spanish tradition! 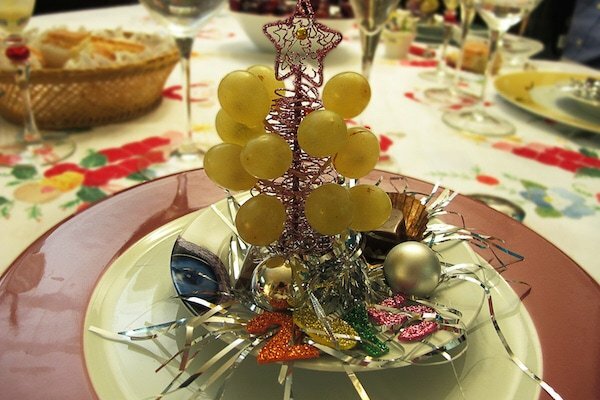 Spaniards eat one grape for each chime of the clock as it hits midnight and the new year officially begins. Legend says that if you can eat all 12, you’ll have good luck in the new year! 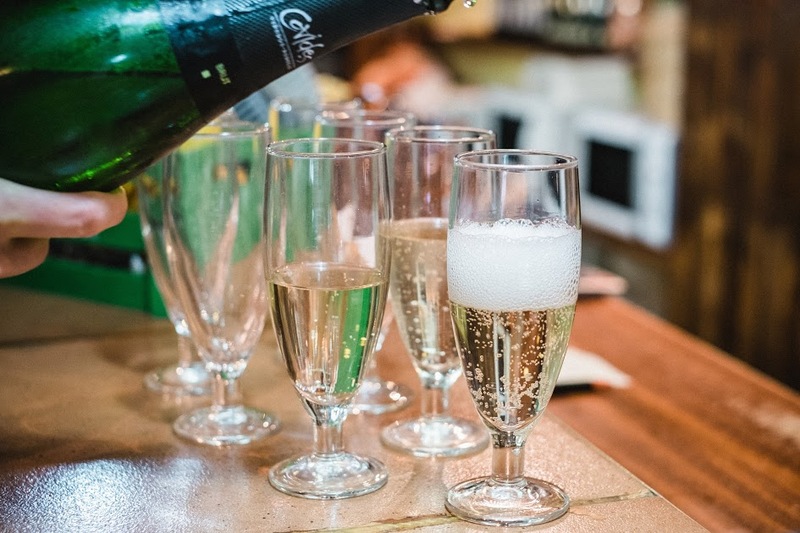 Sip on some bubbly…cava, that is! It wouldn’t be New Year’s Eve in Valencia without cava! Cava is like Champagne’s lesser-known Spanish cousin. This sparkling white wine usually comes from the region of Catalonia, just north of Valencia, and provides a crisp and refreshing touch to any celebration. Salud! Nothing against Champagne, but we’ve got a soft spot for cava! After the stroke of midnight, many valencianos head to their favorite bars and discotecas to continue the fiesta. One of the city’s many spectacular rooftop bars makes for a great place to start 2018 off in style. Want to really celebrate like a local? Head to the Patraix neighborhood, where residents organize a huge local block party in the barrio‘s eponymous plaza each year on nochevieja. It’s been a favorite way to celebrate New Year’s Eve in Valencia for more than 20 years. Looking for something a little more on the elegant side? 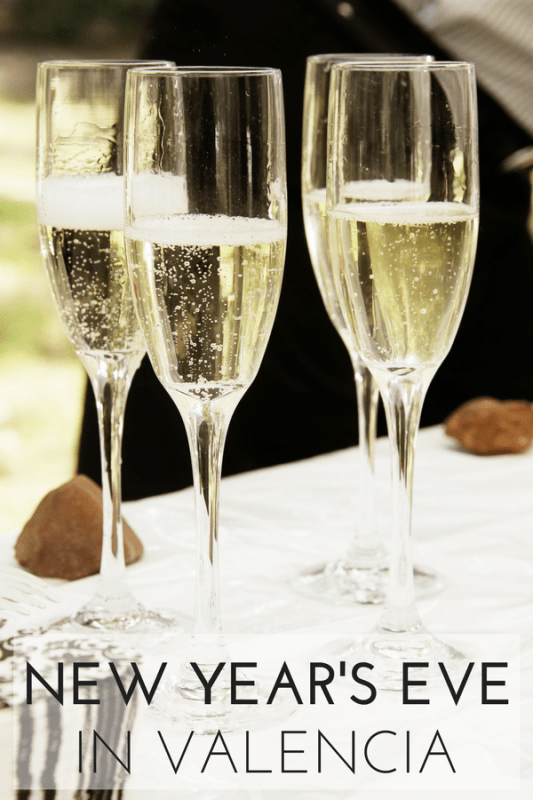 Many hotels offer special gala dinners on New Year’s Eve in Valencia. One option is the annual celebration at The Westin Valencia (Amadeo de Saboya, 16). This year’s special gala menu includes delicious temptations such as Norway lobster ragout and beef sirloin with foie. The event also features a cotillion, orchestra performances, an open bar and of course the midnight grapes! Tickets will set you back 260€ for adults. As the sun rises to illuminate the first day of 2018, the irresistible smell of fried dough wafts out of churrerías all over the city. 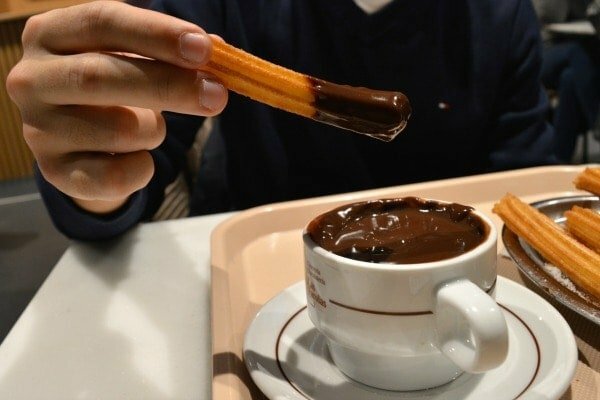 Churros con chocolate are the quintessential Spanish snack and a must-eat after celebrating New Year’s Eve in Valencia! From the crispy churros themselves to the piping hot and sinfully delicious chocolate, it’s the perfect way to start off the new year. The sweetest way to start the new year! Our new year’s resolution: eat more jamón. We’d love for you to join us in devouring this delicious delicacy and more on a food tour in Valencia! Start off 2018 by experiencing Valencia and its food like a local. We can’t wait to see you soon!